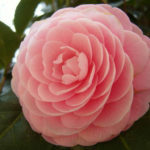 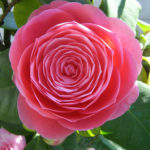 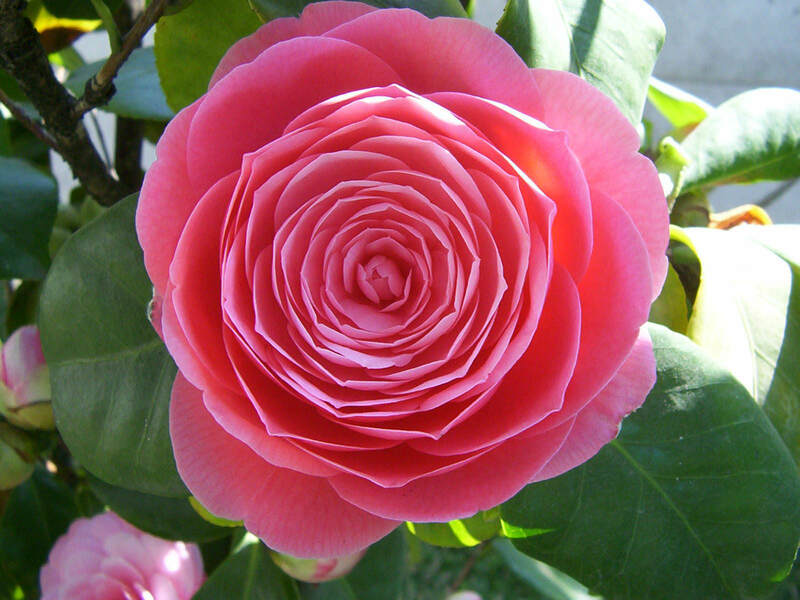 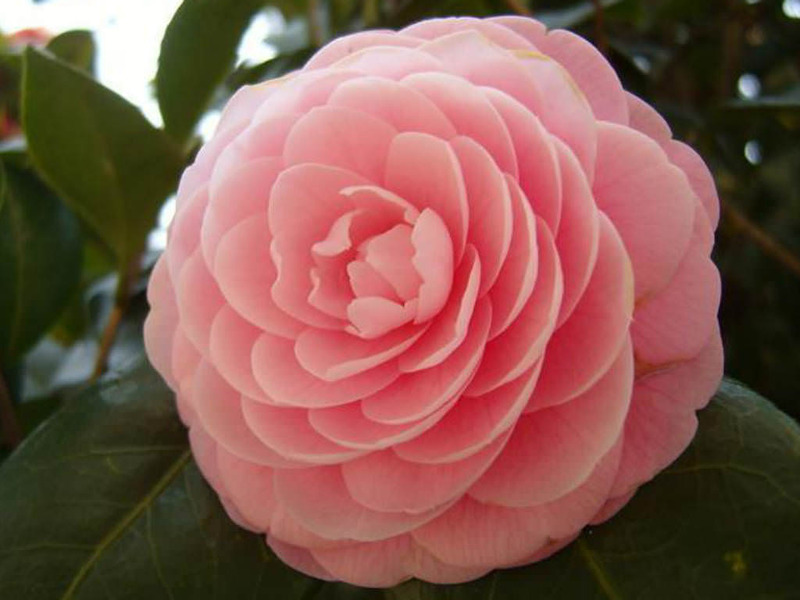 Camellia japonica is a flowering tree or shrub, up to 20 feet (6 m) tall, but occasionally up to 36 feet (11 m) tall. 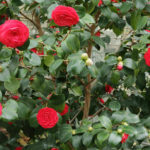 The alternately arranged leathery leaves are dark green on the top side, paler on the underside, up to 4 inches (10 cm) long. 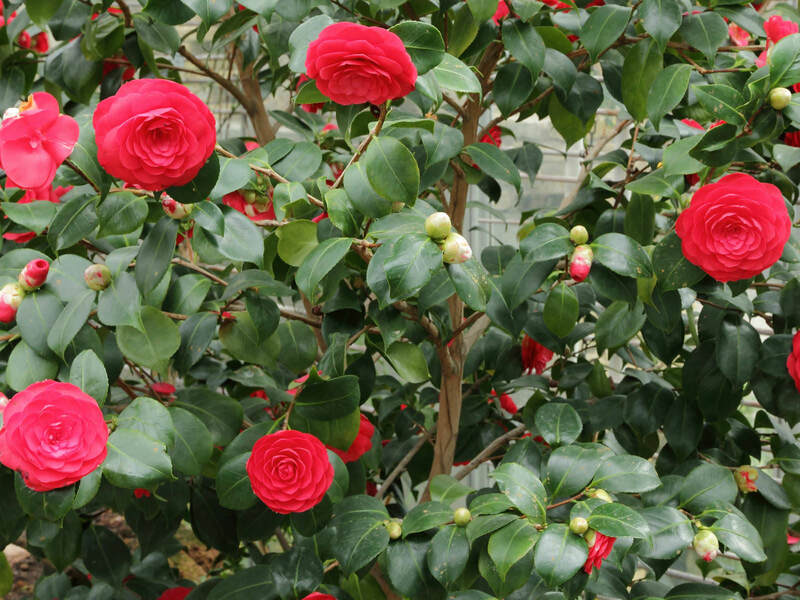 The flowers, which range in color from pure white to deep red, are up to 4 inches (10 cm) in diameter and are produced from winter to spring. 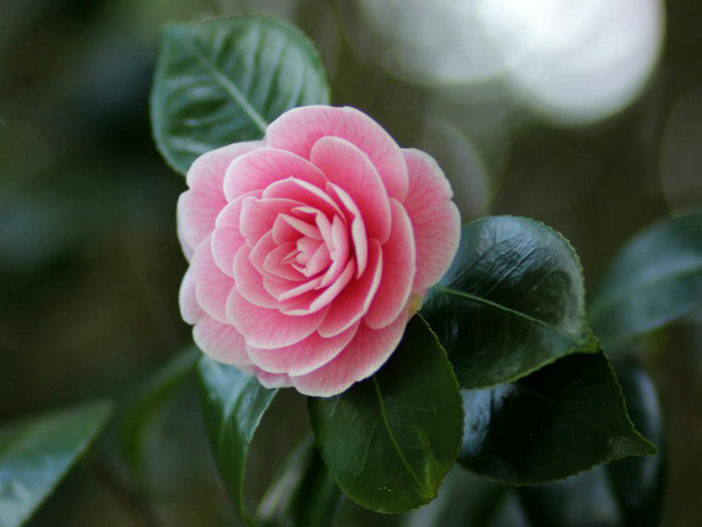 Native to China, Taiwan, southern Korea and southern Japan.